In order to stay competitive companies have implemented various software applications over the years to support their internal activities and processes. As a result, many now face a complicated infrastructure of diverse technologies and systems that are costly to manage and maintain. At the same time, many companies understand the need to connect and integrate these applications to maximize their ROI and improve operational effectiveness. 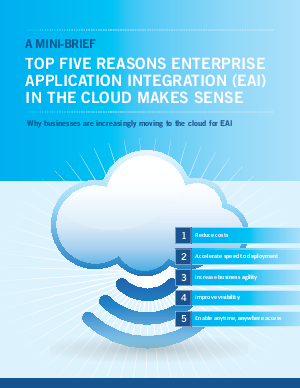 This e-guide will show why many businesses are turning to the cloud to address their internal application needs.